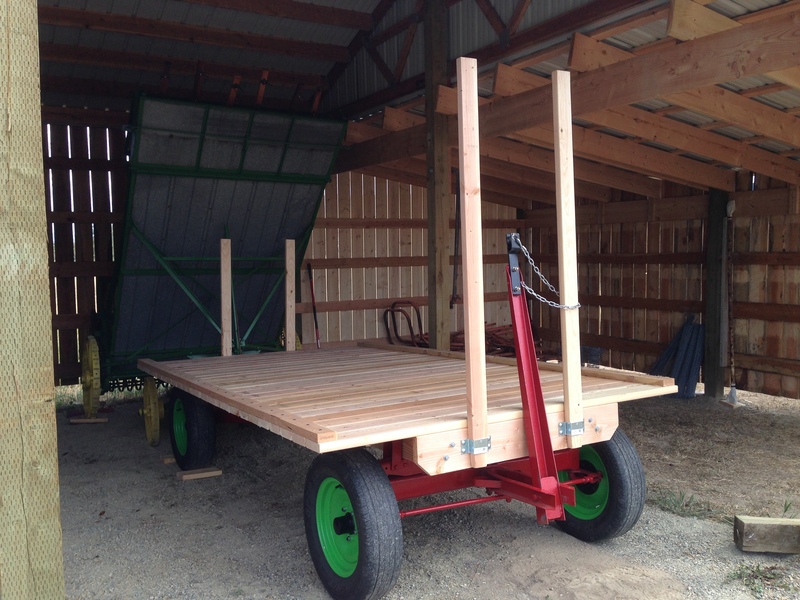 In our quest to build up our equipment inventory, we decided to look for a hay wagon. We know we’ll need one, so we figured now is the time. Through Craigslist, we found a running gear for sale. It was in rough shape, but the price was right. Upon inspection, we found it to be a David Bradley, which was the brand Sears, Roebuck, & Co. applied to their line of farm equipment. We brought it back to the farm, and there it sat until this Summer when we decided to start fixing it up. 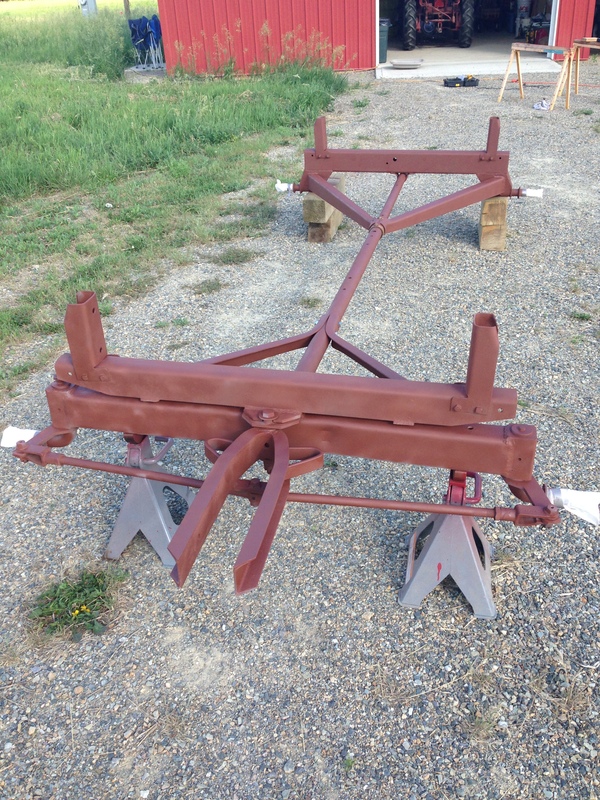 We took it all apart, sanded down the frame, painted and primed it. We disassembled the hubs, and cleaned everything. Surprisingly, the wheel bearings and races looked like new. We repacked them and put them back together. Unfortunately, two of the four wheels were badly rusted out around the valve-stem holes, so we had to buy two new wheels. We got new tires for our Jeep this summer, and coincidently, the hay wagon wheels were the same size. So thanks to the amazing Blue Creek Store and Garage, our old Jeep tires (which had plenty of life left in them for hay wagon service…) were transferred to the hay wagon. Interestingly, when Sears originally sold these, they were sold without tires. 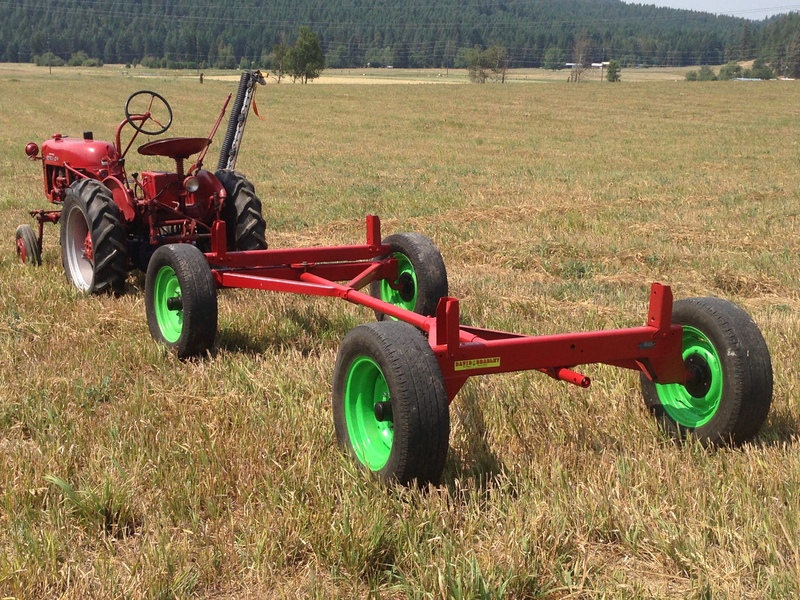 They were marketed with the intention of farmers using hand-me-down tires off their automobile. We are going to have a very colorful farm! 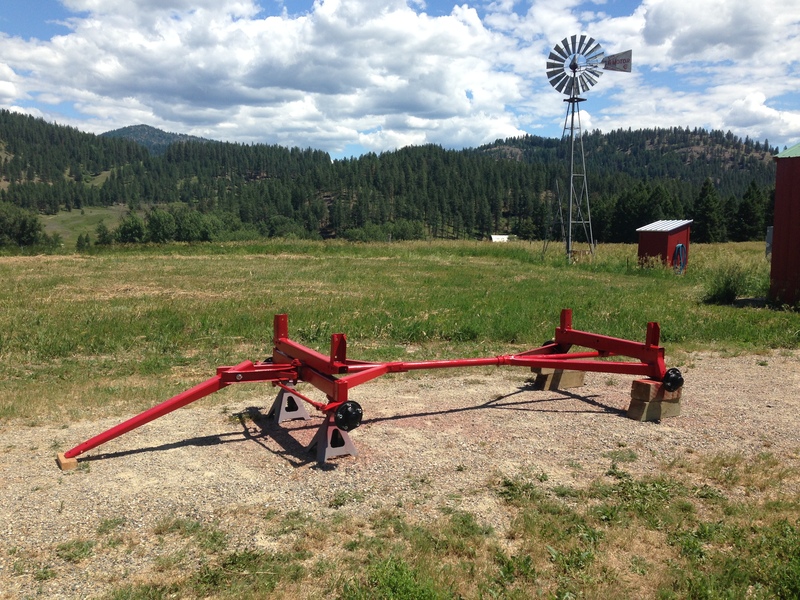 David Bradley’s standard colors were red with a very bright green trim! The color has certainly grown on us! 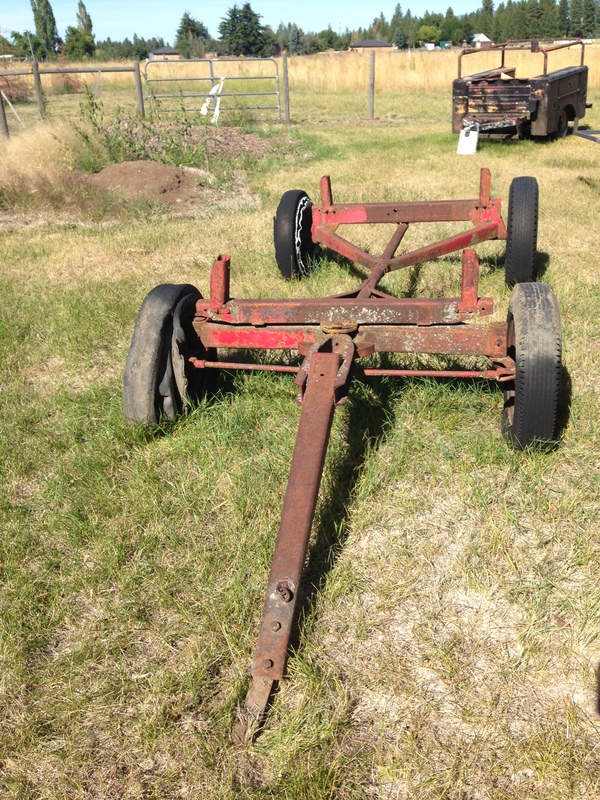 This entry was posted in Equipment and tagged david bradley, hay wagon, loose hay, running gear, sears. Bookmark the permalink. You two continue to amaze. I like your cute stuff! You’re wagon looks great. Where did you get the David Bradley stickers. Hello there! We found them on Ebay. 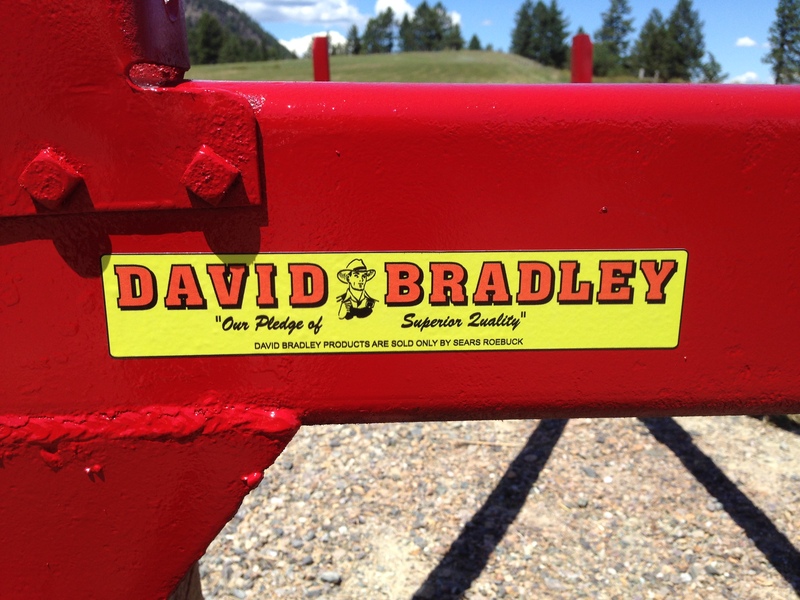 The seller’s user name is “blueboy1027” and he has lots of David Bradley decals available.